Russia has to win back Armenia otherwise it faces the looming “defection” of its “ally” which could interest its interests and harm the emerging Multipolar World Order in general. In the Caucasus, Armenia risks turning into the US’ kamikaze state by adding fuel to the Nagorno-Karabakh fire." A well-known Kremlin insider has voiced worried concern about Armenia’s participation in several NATO drills lately, signaling that Yerevan might be in the process of a pro-Western pivot which would have very destabilizing consequences for the Caucasus. Sergey Markov is the chairman of Russia’s National Strategic Council and accordingly holds considerable weight in influencing his country’s foreign policy decisions. As such, his public statements, let alone those which are elaborated on in detail, shouldn’t be taken lightly, nor should they be conflated with his personal convictions. Rather, Markov can be safely assumed to be informally channeling the Kremlin’s attitude on any given topic whenever he talks about international affairs, much like how the Global Times newspaper in China is commonly regarded as expressing the Communist Party’s unofficial standpoints. Bearing all of this in mind, Markov’s comments about Armenia’s strident pro-Western reorientation are striking and need to be taken very seriously. From his statements, it’s clear that Markov is expressing profound distrust for the motives of the Armenian leadership, essentially inferring that they’re abusing their country’s long-standing and high-level strategic relations with Russia in order to squeeze more military and strategic concessions out of it. Tiny and landlocked Armenia apparently believes that it’s wise to “balance” between Russia and the West, despite formally being part of Moscow’s post-Soviet mutual defense bloc, the Collective Security Treaty Organization (CSTO), and its free trade area of the Eurasian Economic Union (EAU). These Russian-friendly integrational facts make it all the more surprising that Armenia is now redirecting its sights westward, and it’s probably all due to what Markov said about its jealousy regarding Russian-Azeri relations. Before addressing that aspect of Moscow’s strategic calculus in the Caucasus, it’s necessary to point out that none of this should have really taken anyone off guard. 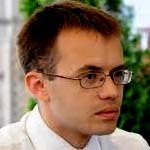 The author picked up on the trend of Armenia’s pro-Western pivot in May 2015 and wrote about it in detail in an article titled “Are Armenia And Belarus Wandering Westward?”, focusing mostly on how Yerevan was still chasing an “Association Agreement” with the EU even though it was already a member of the EAU. A month later, a proto-Color Revolution attempt popularly called “Electric Yerevan” shook the country to the core and was analyzed extensively in the author’s piece about how “’Electric Yerevan’ Is Sliding Out Of Control”. Although it eventually sizzled out, it can be seen in hindsight as an effort to coerce “regime tweaking”, or political concessions, from the Armenian leadership, particularly in this case to push it into accelerating its pro-Western pivot. This was explained more generally on a theoretical level in the author’s earlier analysis about “NGOs And The Mechanics Of Hybrid War”. Alongside the Armenian government’s overtures to the EU and its civil society’s pro-Western leanings were angry expressions of nationalism which culminated in a two-week-long hostage crisis when veterans of the Nagorno-Karabakh conflict overran a police station in Yerevan last summer. The gunmen were furious with the government for not taking a stronger stand against Azerbaijan following the brief breakout of hostilities between the two countries in early April of that year, a dangerous event which was described in detail by the author in his two-part article series titled “Armenian-Azeri Tensions Just Got Alarming: Here’s Why It’s Happening”. At the time, many Armenians were upset with Russia for not openly taking their side and instead preferring to remain a neutral balancing partner, which fed into the anti-Russian resentment that’s been sweeping Armenian society lately and therefore made the Yerevan terrorists appear as heroes to many. The problem, however, is that a lot of Armenians have false expectations about Russia’s contemporary role in the Caucasus, wrongly believing that the post-Soviet Russian government of President Putin is obligated to support them because of the fact that over one million Armenians were slaughtered by the Ottomans and their Kurdish henchmen during and after World War I due to what Istanbul controversially claimed was their “disloyalty” to the Caliphate and “treason” in siding with the Russian Empire of Tsar Nicholas II. Whether or not this is an accurate reflection of reality or an excuse to justify genocide isn’t important in the scope of this research, as the point being made is simply that the official Turkish position is that the Armenians were Russian allies, and that that their collective suffering was therefore in line with the “regular norms” of the time in punishing ethnic groups at large which posed a presumable security threat to the state. This is relevant in the context of the present analysis because it means that – whether truthfully or just as a convenient excuse – over one million Armenians were killed because of war-time circumstances that the Turks have tried to blame on Russia. This doesn’t make Russia complicit or responsible for what happened to any degree whatsoever, but just that Armenians are aware of how the Turks are publicly explaining the origins of the matter. As such, they believe that Russia has a moral responsibility to forever side with them no matter what because of the perception that the Turks are promoting that the Armenians were killed because of the allegiance to Russia. Again, this isn’t to add any credence to any side’s claims on what really happened, but just to explain how Turkey is expressing its position abroad about this tragic situation and to show how it relates to the roots of Armenia’s resentment towards Russia. No reasonable Armenian is condemning Russia for what transpired, but many of them do believe that Russia should always look after their interests because of this group’s historic affinity to the Russian state, whether during Tsarism, communism, or the post-Soviet era. Moreover, Russian volunteers took part in the Nagorno-Karabakh conflict in support of their Armenian Orthodox co-confessionals, and Armenia eventually went on to become a member of both the CSTO and EAU. These recent events have forged solid bonds between the two Christian people and reinforced the view that they’re eternal allies. They also make it appear as though Russia is “serving its debt” to Armenia for the over one million of its people which, according to the Turks, died in one way or another for reasons directly or indirectly related to the World War I-era Russian-Ottoman conflict in the Caucasus. The problem with this understanding, however, is that it presumes that Russia also believes the same and is acting upon it, which isn’t true at all. Modern-day Russia isn’t the Tsarist Russian Empire, nor is it the communist Soviet Union, and after two fundamentally transformational regime changes, the Russian Federation doesn’t believe that it has any obligation to “pay” any of its forerunners’ normative “debts”, whether real or perceived. In fact, even talking about such a topic as this one automatically assumes that morals, ethics, and principles are influential factors in International Relations, which also isn’t necessarily the case, nor do all states act upon them even in the instances where they do exist, let alone when doing so would be contrary to their national interests. This is the state of affairs with Russia today, which is guided by Neo-Realist considerations as expressed by the “19th-Century Great Power Chessboard” strategic paradigm, whereby Russia prioritizes its relations with its similarly sized Great Power peers at the (perceived) expense of its smaller- and medium-sized partners such as Serbia, Syria, or in this case, Armenia in order to advance the “bigger picture/greater good” of multipolarity. It basically all comes down to Russia envisioning its 21st-century role as the supreme balancing force in Eurasian affairs, and in order to do so, it must have equally positive relations with all parties, especially those on opposite sides of a long-standing conflict such as Nagorno-Karabakh. How this works out in practice is through Russia’s “military diplomacy”, which the author explained in detail in his Sputnik analysis from last September titled “Army Expo 2016 Showcases Russia’s Success at Military Diplomacy”. As was mentioned in that text, Russia sells weapons to opposite sides in a conflict, such as it does with Armenia and Azerbaijan, because it wants to preserve the strategic equilibrium between them, not disrupt it in favor of one or the other like the US does in order to encourage hostilities that it expects to ultimately play out to its advantage. The “19th-Century Great Power Chessboard” is exceedingly relevant here because Russia’s relations with Armenia and Azerbaijan can’t be separated from its ties with Turkey and Iran, which are much more important for Moscow in the overall sense than either of the two Caucasus states though are nevertheless incapable of being “de-hyphenated” from them. It’s for this reason why Russia has signaled that any lasting solution to Nagorno-Karabakh must involve the tacit participation of both Great Powers, such as was explained in the author’s policy proposal about “The Tripartite’s Big Barter In The ‘Eurasian Balkans’: The Caucasus”, which expands upon the multilateral possibilities for Russia, Iran, and Turkey to broker a peace between the two Caucasian foes. This balancing act is very delicate and must be undertaken with the most extreme caution, but if there’s any actor capable of pulling it off, it’s Russia, which has excellent relations with all parties. However, because of the “zero-sum” mentality pervasive in Armenian society and among their elite, especially when it comes to anything that has to do with Nagorno-Karabakh or even Russia’s fast-moving rapprochement and resumption of its strategic partnership with Turkey, they consider Moscow’s moves as being aimed against their interests and forcing Yerevan to make future “concessions” that it isn’t comfortable with. In the face of Russia’s Eurasian balancing act and the influence that the “19th-Century Great Power Paradigm” holds over its leadership’s strategic thinking, Armenia has clumsily responded with its own “balancing” attempt by trying to pivot closer to the West, though this has thus far been extraordinarily counterproductive. The idea, though, is sound enough – Armenia thought that Russia would “pay more attention” to it and its interests if the country made more outward appearances of partisanship towards the West, though it failed to recognize that it was falling into the exact same trap as Ukraine did in the run-up to “EuroMaidan”. Yerevan’s efforts to clinch some sort of “Association Agreement” deal with the EU despite its EAU membership weren’t perceived as a clever power play by Moscow, but as duplicitous double-dealing in full contravention of its organizational responsibilities to its fellow Eurasian economic partners. When Armenia dispatched troops to participate in NATO war games in Romania and Georgia this summer, Moscow strutted out Markov to give the previously discussed exclusive statement to Azerbaijan’s Trend news agency signaling Russia’s deep disapproval. Every time that Armenia tries to “balance” between the West and Russia, it ends up being to the former’s advantage and the latter’s detriment. There’s more to Armenia’s latest pro-Western pivot than simply trying to enhance its bargaining power with Russia or maliciously spite it, as Yerevan also understandably wants to advance its own interests as it understands them. The reader should recognize that Armenia’s most pressing international issues concern the interconnected trifecta of Turkey, Nagorno-Karabakh, and Azerbaijan, and that it’s suspicious towards states which have positive and growing relations with Ankara and Baku but very trusting of those which have earned their ire. Interestingly enough, Russia and the US are moving in opposite directions concerning these two Turkic states – Moscow is rapidly enhancing its ties with Ankara and Baku at the same time as Washington is distancing itself from both, and each Great Power is doing so for geostrategic reasons regardless of what their public reasoning is. Russia is getting a lot closer to Turkey nowadays in order to wean it away from its erstwhile Western dependency and encourage a more accelerated pivot towards Eurasia, while it’s concurrently in the midst of a rapid rapprochement with Baku because of the state’s indispensable role in facilitating the North-South Transport Corridor (NSTC) with Iran and India. Accordingly, Russia’s position towards Nagorno-Karabakh is also becoming more nuanced and no longer resembles the semi-open support of Armenia that it once did during the mid-1990s. As this is going on, the US is moving further away from Turkey and Azerbaijan on the stated grounds that each state is becoming “less democratic”, preferring instead to prioritize its relations with their shared Armenian and Georgian neighbors in order to complicate the trilateral strategic integration between Russia, Turkey, and Azerbaijan. Correspondingly, the very powerful Armenian lobby in the US is also hard at work trying to convince Washington to take a more partisan approach to the Nagorno-Karabakh conflict in favor of Yerevan. “Armenia undergoes either a hyper-nationalist Pravy Sektor-like Color Revolution or such ideologically affiliated candidates are democratically voted into office, instantly moving the country closer to the unipolar camp when the hot-headed leaders expel Russia’s military presence because of Moscow’s cautious refusal to aid in the new Armenian leadership’s hostile provocations against Azerbaijan. Yerevan quickly pivots closer to the EU and NATO, and Washington wastes no time in deploying military assets there in order to protect its new regime from their “pro-Russian” Azeri enemies, thus turning the curve-shaped country into a decisive dagger striking straight at the heart of the Russian-Iranian-Turkish Tripartite of Great Powers. Russia is terrified of another war between Armenia and Azerbaijan because of the uncontrollable regional consequences that it could engender, as elaborated upon in the author’s 2015 analysis about “Nagorno-Karabakh And The Domino Destabilization Of Disaster”, though conversely, it’s exactly this scenario that the US wants to foster through its machinations in trying to form a pro-Western “nationalist-liberal” government in Armenia which could then be easily led into sparking a new conflict. Apart from the more dramatic scenario of using Armenia as the US’ preferred state vehicle for sparking inter-regional chaos in the Caucasus, there’s also a more “passive” and “peaceful” plan at work in having the country serve as the “valve” for “siphoning off” some of Russia’s expected NSTC trade with Iran and India. Right now, the aforementioned two Great Powers plan on pioneering their ambitious multimodal transport corridor through Azerbaijan en route to Russia and afterward the EU, but it was curiously announced just a few months ago that Tehran wants to streamline another corridor through Armenia and Georgia in connecting to the Black Sea. While this route could in theory serve as a complementary spoke of the NSTC or something altogether unrelated to it, there’s also the chance that it could be exploited by the West to encourage Iran and India to divert their planned Russian-transiting and -destined trade directly to the EU instead. 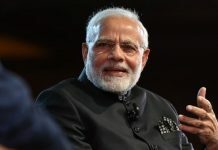 “This would result in both Iran and India being able to trade directly with the EU via the Black Sea-abutting Balkan countries of Romania and Bulgaria, completely cutting Russia out of the equation. It’s not that these two states aren’t serious about using the NSTC as a platform for deepening their ties with Moscow, but they want to diversify the route to not become solely dependent in the event a future intensification of the New Cold War results in more stringent sanctions against Russia, deterring third-party traders (Iran and India) from transiting across it en route to the EU. On the other hand, from the perspective of realpolitik, Iran and India might have some ulterior motives in advancing the Black Sea leg of the NSTC. 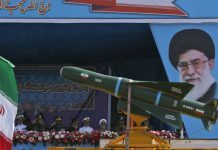 If one or both of these two Great Powers ever have a falling out with Russia – for example, Iran comes to believe that Russia “outwitted” it or “sold it out” in Syria and/or India makes an unheeded ultimatum to Russia to cut off ties with Pakistan and downgrade them with China – then it wouldn’t necessarily mean that their dreams of EU connectivity are forever shattered. This line of strategic thinking corresponds to what the author wrote for Sputnik earlier this year in a piece about how “Competitive Connectivity Is At The Core Of The New Cold War”, which argued that one of the premier trends of the 21st century is about developing and securing one’s trade routes while disrupting, controlling, or influencing a rival’s through Hybrid War. In this context, it is to the US’ supreme advantage to use the “Armenian Dagger” as a means of diverting Iran and India’s future trade with Russia directly and solely to its EU ally instead, and possibly even using this opportunity as a bargaining chip for cutting some sort of “détente” deal with Tehran in exchange. If this scenario comes to pass, then Azerbaijan would lose its previous chokepoint status in controlling the NSTC’s trade with Russia and thenceforth the EU, though it might become even more important to Russian decision makers as the logical counterweight to a pro-Western Armenia. As a result of the Armenian government and its society unflinchingly clinging to their “zero-sum” mentality regarding their foreign partners’ relations with Turkey and Azerbaijan, the country and its people have come to view Russia as an untrusted partner due to its fast-moving partnerships with both Ankara and Baku, while simultaneously seeing the US as comparatively more attractive because of Washington’s moves in the opposite direction. This explains why Yerevan has lately taken to making decisive economic and military steps towards the West in spite of its shared EAU and CSTO memberships with Russia. Russia’s embrace of the “19th-Century Great Power Chessboard” paradigm in order to advance its 21st-century envisioned role in becoming the supreme balancing force in Eurasia is perceived by many Armenians as being to their overall detriment vis-à-vis their interests concerning Turkey, Azerbaijan, and Nagorno-Karabakh, which is why there hasn’t been any significant opposition in the country to its leadership’s pursuit of an “Association Agreement” with the EU and participation in NATO’s latest military drills in Romania and Georgia, even though both of these are in direct contravention of any so-called “alliance” with Russia. That’s the problem, though, and it’s that the modern-day Russian-Armenian “alliance” isn’t what many people think it is. Armenia has only been a “reliable” partner for Russia so long as Moscow appeared to be tacitly siding with it on Nagorno-Karabakh and wasn’t deepening its relations with Turkey and Azerbaijan, though once Russia began to take a more balanced approach towards the conflict and sought to expand its ties with those two aforementioned states in order to advance the overall “greater good” of multipolarity as per the two strategic paradigms cited above, Armenia decided to rush into the Americans’ arms. This alone makes one question whether an “alliance” ever even existed in the first place between the two, notwithstanding their CSTO mutual defense obligations to the other. About that, there’s a strict emphasis on defense, implying upon further scrutiny that Russia wouldn’t side with Armenia if it was Yerevan which initiated a Continuation War under a pro-American “nationalist-liberal” government, nor would its treaty responsibilities extend to the disputed territory of Nagorno-Karabakh that Moscow officially recognizes as belonging to Azerbaijan. 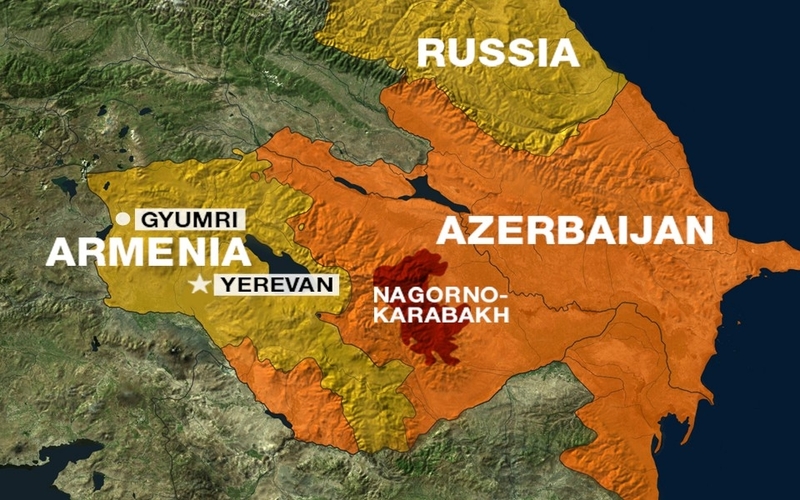 This means that Russia would only defend Armenia if Azerbaijan launched an unprovoked offensive within the country’s internationally recognized borders. The core of the strategic disconnect between Russia and Armenia comes down to the Armenian government and its people believing that Russia must eternally support it no matter what in order to “serve the debt” that they believe it owes them for being slaughtered on the basis of what the Turks claim was their pro-Russian loyalty/anti-Ottoman disloyalty during World War I. A century after what some countries recognize as the Armenian Genocide and two fundamentally transformational regime changes in Russia later, however, modern-day Moscow doesn’t believe – whether rightly or wrongly – that it has a moral obligation to blindly support the Armenians forever, especially if this contradicts its efforts to build multipolarity. Because of Moscow and Yerevan’s irreconcilable disagreement on this pivotal point, Armenia has decided to clumsily “balance” between the West and Russia in a failed policy forebodingly reminiscent of what the former Ukrainian government attempted to do in the run-up to “EuroMaidan”. For all intents and purposes, Yerevan isn’t “balancing” with the West, but pivoting towards it, and this works out to Russia’s ultimate detriment in heightening the mistrust between the two supposed partners and threatening the cohesion of the EAU and CSTO, as Armenia’s “abandonment” of Russia – no matter what its reasons may be – would represent a major strike against Moscow’s grand strategic interests. Faced with the looming “defection” of its “ally”, Russia should work hard to lessen the overall damage to itself, its multilateral organizational interests, and the emerging Multipolar World Order in general by taking steps to prevent the worst-case scenario of Armenia becoming the US’ kamikaze state in the Caucasus, which means that it must prepare to preempt or respond to the Yerevan government being replaced by or embracing pro-Western “nationalist-liberal” forces which encourage it to start a disastrous Continuation War in Nagorno-Karabakh. If it’s impossible to “win back” Armenia at this point, then Russia mustn’t shy away from embarking on unprecedented contingency planning so that it’s not caught unaware by any scenario that its “partner” decides to initiate. DISCLAIMER: The author writes for Regional Rapport in a private capacity which is unrepresentative of anyone or any organization except for his own personal views. Nothing written by the author should ever be conflated with the editorial views or official positions of any other media outlet or institution. 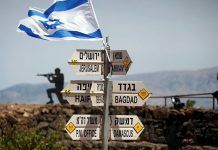 Previous articleSyria: Why Ceasefire Deal Irks Israel? readership believe the same! Korybko provides no evidence for this claim upon which he bases his argument. (https://trud.bg/350-diplomatic-flights-carry-weapons-for-terrorists/) Azerbaijan is a better friend of Russia. This sounds like childish school yard rhetoric. In Markov’s words, “Meanwhile, Azerbaijan says more clearly and honestly that it maintains relations with both parties – Russia and the West”, Markov either doesn’t know what he is talking about or he too is caught in the same 19th century “chessboard” the author Korybko repeats but never defines. Looks like the blind leading the blind. Is this intended as a an expression of the “political realism” school of thought of Hobbes, Brzezinski, etc.? Armenia/Russia have a long and checkered relationship. For more than a century Armenians pleaded with Moscow to liberate them from Turkish and Persian colonialism. But when the Russians finally came to Armenia in the early 19th century and drove out the Turks and the Persians, they began a russification policy. Armenians realized that they had swapped one imperial power for another. Armenians, starting in the 17th century, contributed greatly to Russia in every way possible. They were particularly prominent in the military, leading armies against the Turks, Napoleon, Persians, and the allies during the Crimean War. Per capital, Armenians suffered higher casualties than any other Soviet state (perhaps not counting Georgia) during WWII. They continued their huge contribution to the Soviet Union during the Cold War. Despite the above, many Armenians consider Russia the “big brother”. So one can imagine the disappointment of Armenians when Russia arms Armenia’s two enemies–Azerbaijan and Turkey–while saying it’s just business. Remind me of what a Mafia assassin would say that there’s nothing personal in his crime…it’s just business. Azerbaijan and Turkey are not garden variety enemies of Armenia. They have made no secret that their ultimate goal is to erase Armenia from the map. assumes Armenia has no options. This kind of attitude reminds some Armenians of the senior tsarist official who said that Russia wants Armenia without Armenians. Moscow should realize that if Armenia heads west, the Western-devised chain will get tighter around Moscow’s neck. Andrew Korybko seems to have a thesis in his mind and is tempering the facts in order to justify his thesis. Wish as he may there was no attempt for color revolution during the “Electric Yerevan” demonstration as stated by the organizers. It was mainly a dissatitisfaction with the waste in managing the utility which hence has been fixed. Almost all of his assertions are eschewed to prove his thesis. He also desperately attempts to justify himself by going back to his previous publications saying that he predicted such a such thing as a self gratification. In all he seems to be a small time analyst desperate for attention. Wow, a malicious and poisonous attack on Armenia by Andrew Korybko. According to him Russia is perusing multi vector diplomacy with states such as Turkey, Azerbaijan and possibly Iran to protect its interests. This idiot is now blaming Armenia who is also attempting to establish a multi vector diplomacy to protect Armenia’s interests, rather than a unipolar diplomacy, which is clearly resulting into a zero sum game to the advantage of Russia. Armenia is the only country that – can due to its geographical position, ethnicity and religion – can thwart pan-Turkism and thus the destruction of Russia. But Russia has foolishly chosen to cheat on Armenia and sleep with promiscuous pan-Turkic countries Turkey and Azerbaijan, both of whom are Russia’s arch enemies. Hence, Armenia sees that Russia is acting contrary to even Russia’s own interests, and decides that Russia is not as reliable as it thought Russia was. This is all Russia’s fault, not Armenia’s. Russia is being self-destructive by cheating on Armenia with Russia’s Turkic wh*r*s.
Keep up your stupidity, Russia, and you will alienate Armenia and someday pan-Turkism will destroy you. This will be Russia’s own fault. Armenia may be destroyed in the process but so will the Russian gigolo. Obviously Korybko doesn’t know what he is talking about. This article is full of non supported statements. 1/ The whole article is based on a Azerbaijani propaganda outlet itw retranscription. The so called “expert” Sergei Markov is well known to be part of a game between Az and Russia, being regularly commissioned by the Kremlin to tell the Azeris what they want to hear since years now, he is regularly used to balance the Pro Armenian stance of Moscow and please Azeri public opinion. 2/ The article put in balance the participation of an Armenian medical military unit made of 30 military in a NATO exercise (with Kremlin full consent btw) with the CSTO and the full alignment of Armenian Army with its Russian counterpart. The perpetuity granted to Russian army for its base in Gyumri and its critical action in protecting Armenian / Turkish boarder and the fact that Russia is Armenia’s only armament provider weren’t even mentioned by the author, since not serving his point. 3/ “Armenia is our only classic miliarty-political ally . it is more important to us than Israel is to Americans”. And I would add vice & versa. This statement made by Alexei Arbatov, ex Duma head of Defense commission is just one of the numerous statement of its kinds. Georgia is lost, Azerbaijan was looking to join NATO only few years ago and is in any case not trustworthy with unpredictable leadership since obsessed by Turkey, Armenia is the only Russian foothold in Caucasus. Every step taken by Armenian government with the West is done with full knowledge and with tacit or express consent of the Kremlin. Incidentally, actual prime minister of Armenia is an Ex Gazprom executive. 4/ Despite hybrid warfare in social medias and by some local propaganda medias financed by the west, and contrary to what Markov said in the past, Armenia has never been even close to a “color revolution”. Russia enjoy large support in Armenia, as protector but also as first investor and first commercial partner. 5/ Finally, the author should have questioned about Armenia real intention as regard of “multi vector” policy. It is just a theatrical stance, aimed at releasing internal and external political pressure and obtaining the most from EU and Moscow. No one in Yerevan, except some well known fools of the opposition or the western financed medias, never truly believed in EU accession or that NATO could be a positive factor in Armenian security able to replace the CSTO. The Russian-Armenia alliance will last long, because for Russia no country can replace Armenia in the South Caucasus, and because no other power can replace Russia for Armenia. The alliance whose existence is questioned in this article is even beyond any doubt much stronger that the author could imagine : the degree of freedom materialized by NATO + AA with EU deals for Armenia on one side and arms deals with Azerbaijan and Turkey on the other, is a proof in itself of the mutual trust between political, military and business leadership of both countries. Any other declaration is just part of the political comedy game. We are talking realpolitik here and there is no place for the emotional and hasty judgements made by the author. Nothing more then the wicked games of wealthy jew bankers. It’s all just Political theater with jew producers and directors, goy actors, and an audience made up of sheep.